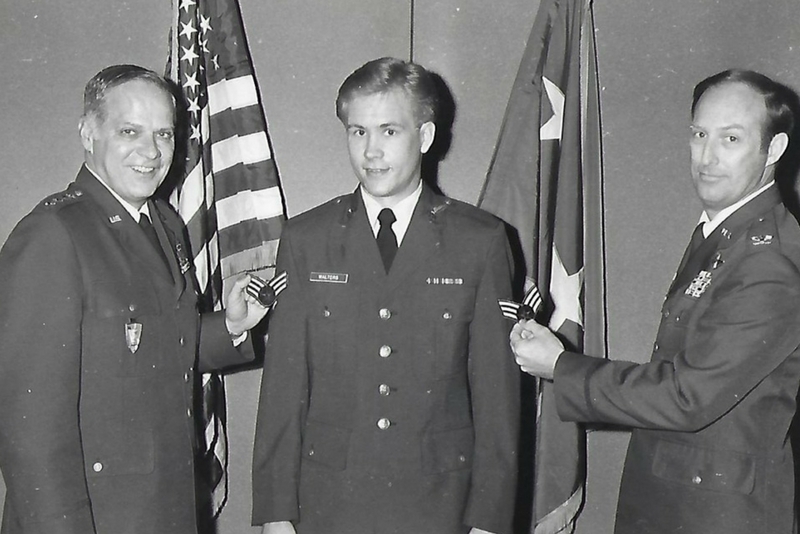 Jeff Walters leads the Client Solutions and Change team at C&W Services and, like many of his industry associates, he found his way to a career in facilities by serving in the military. What was your reason for joining the military? Stripes. Not achieving them, actually the Bill Murray movie. As a kid of the 80s there was something appealing about going behind enemy lines to recover an arsenal assault vehicle. I joined the Air Force in 1982 and was assigned to March AFB in Riverside, California. While I wasn’t given a super-secret assignment, I did serve as a mobility briefer for the Strategic Air Command base. Was this your introduction into facility services? Not really. It wasn’t until the Air Force sent me to the USAFE Command HQ at Ramstein Air Base in Germany that I began to understand the importance of a reliable facility and the impact it has on the mission. At the time of my deployment, General Charles Donnelly was the Commander in Chief for USAFE and AAFCE, and I was responsible for maintaining the area and managing the meeting services where he held the command briefings. I was there to create a distraction-free environment; where discussions could be conducted, plans prepared, and decisions made. By doing my job effectively, a much greater purpose could be achieved. This lesson has served me well over the years and is one of the reasons why I enjoy working with C&W Services. Customers are inviting us into their buildings and if we do our jobs well, they are able to find the next cure to a disease, educate brilliant minds, or compete more effectively in a global economy. This is extremely gratifying. From there what did you do next in your military career? Two years into my assignment, I was transferred to the White House Communications Agency in Washington, D.C.
How exciting! Tell us about your experience. It was the final two years of President Reagan’s administration, and I was assigned to a one-of-a-kind military unit. 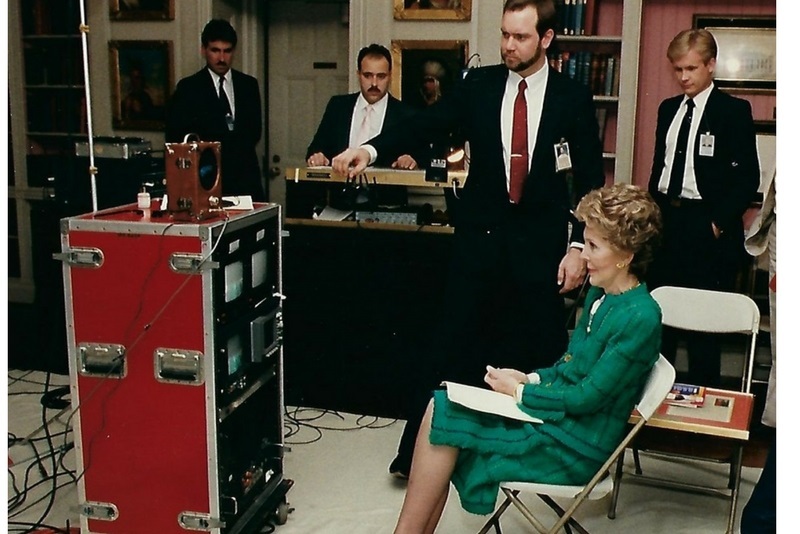 We were dedicated to providing premier, worldwide vital information services and communications support to the President, Vice President, and the First Lady. It was a very fast-paced, dynamic environment. Whether the President was hosting a dignitary, speaking from the Rose Garden, addressing the nation on TV, or speaking in front of an audience of 40,000 people, we were responsible for how he was lit, how he was heard, and how he saw the words for his speech. It sounds like your job had no room for mistakes. Very true. One of the first things taught is the term Presidential Quality. Presidential Quality applied to everything we did. 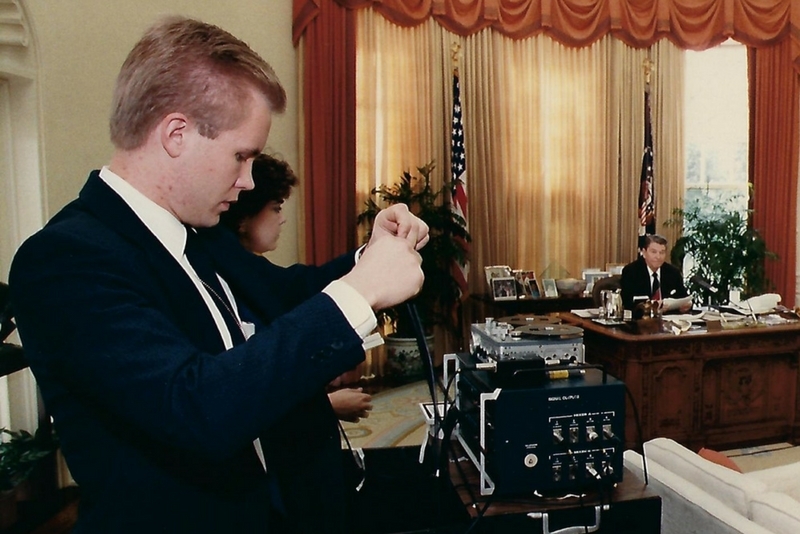 Whether it was a cable being taped down, the speed of a teleprompter or the amplification of a microphone, we never took a short cut. The stakes were too high and letting down our guard compromised the mission. In many ways, this is foundational to any successful operation. Was there something that helped you meet this high expectation? It wasn’t really what I did as much as what we did as a team. Similar to an effective safety program, our team watched out for each other and we held each other accountable for doing the job correctly. I see this today when I visit a well-run data center or incident-free site. I often find people who know what it takes to succeed, like team members working with each other and who are not afraid to speak up when something isn’t right. You are the Executive Sponsor of veterans outreach at C&W Services. Why is this important to you? The men and women who serve our country make it possible for every one of us to enjoy the freedoms we have today. I also think that there is a tremendous value to having people who know what it means to serve become the fabric of our organization. Jeff is one of the members of the Executive Leadership Team and the Executive Sponsor of veterans outreach at C&W Services. If you are interested in learning more about a meaningful career in facilities services, just as Jeff describes, read more about our program for veterans.